Super idiots are not confined to the US. Victorian Premier Steve Bracks said Sunday that Sheik Mohammed Omran's sermon linking rainfall to piety was just plain wrong. 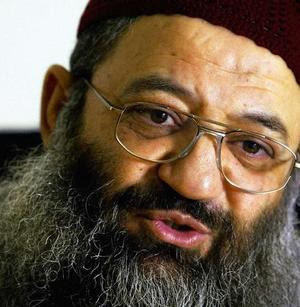 The radical Muslim cleric on Friday called climate change the prophet's pay-back for a sinful world. "While we have free speech in Australia, people will have the good sense to reject those things which bear no relationship to the truth," Bracks said. "I've a lot of faith in the people of Victoria and the people of Australia to stand up and say 'No, that's wrong.'"